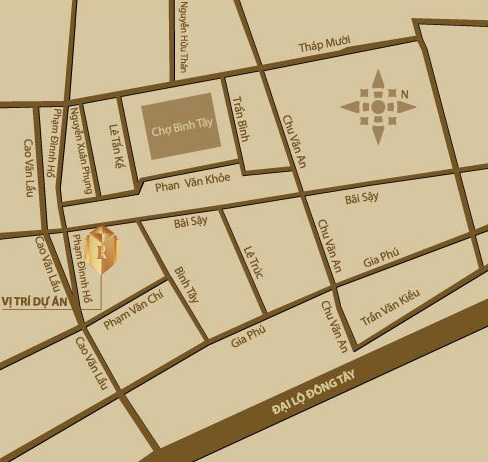 5/29/2009 - Richland Emerald is very close to Binh Tay Market – a busy trading area of Cho Lon; in the opposite of People committee of District 6 and away 500m only from East West Avenue – the most beautiful street of Saigon. Due to synchronous traffic system surrounding the project, from here you can easily go to city’s districts as Dist 5, 6, 10, Saigon South and Binh Chanh as well as go to Western provinces. Being the first wonder worth with a rich land which has a long-standing business tradition of Dist 5 and 6, Richland Emerald bring splendid, portly, luxurious manner for itself and a true value of Asian wonder. 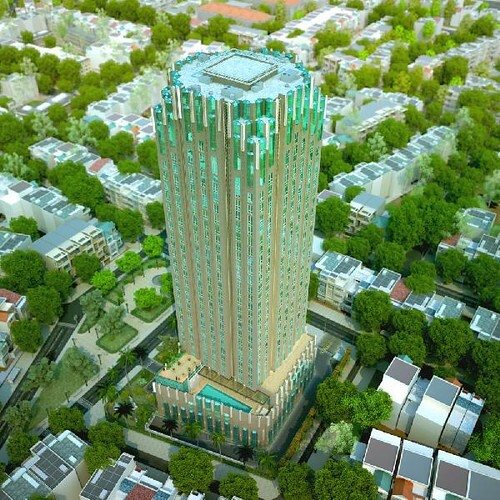 With primary location combining with facilities serving demand of a modern living, the tower brings a value desert to its tenants, a fully Asian regal living style. - Tree area surrounding project and park in the opposite of project will create a lively living space in the middle of the city. - 2 basements for parking with total area of 3,500sq.m, this can meet parking demand of all tenants here and customers come here to shop. * Central air-conditioning system serves business commercial services area.